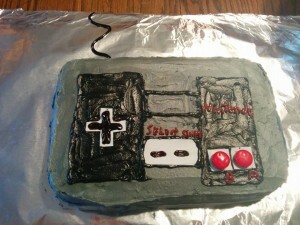 I have a small group of friends who I try to make a birthday cake for each year. I let them request anything they would like and try to accomplish it. I finished one today and wanted to share it. 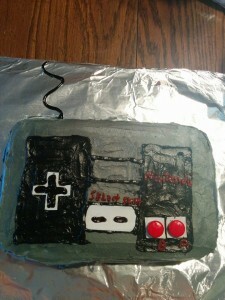 She requested Chocolate cake, with cinnamon icing, shaped like a game controller. I don’t think I did to bad. So gorgeous and so delicious! I am very glad it was liked.